Home / About Gemstones / Returned from Bangkok With a Haul of Semi Precious Stones! Travelling to Thailand always really takes it out of me given that the flight typically lasts around 11 hours from Auckland. I’m just starting to get to the age where long haul really kills me and economy class is even worse! So there is definitely an adjustment period when I hit the ground and have to get used to not only the speed of precious stone trading but also the heat and the food! This Peridot really sparkles and without a doubt my camera skills, or lack thereof!, really do not do them any form of justice. They are nicely sized ovals and would be perfect in earrings or even an accented ring. 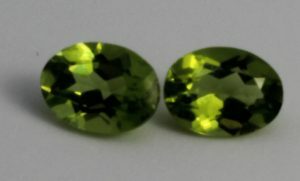 Peridot has always been a stone that I have found to be hit or miss with some of them showing lots of inclusions and an oily inky clarity. However, these examples are really nice and I intend to be passing them on at a very reasonable price shortly. 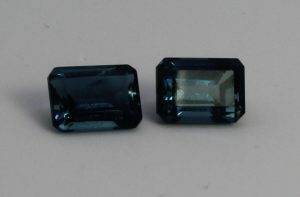 I also managed to find some excellent examples of beautiful dark London Blue Topaz. 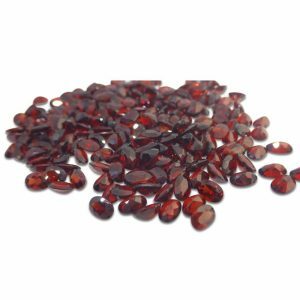 These gems are typically in fairly high demand in the jewelry and collectors sector so they really were a good buy. The cut is fantastic and the clarity and saturation was spot on for what I was looking for. 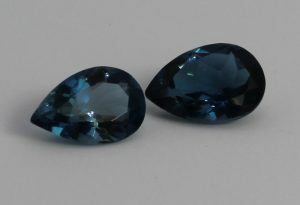 Topaz is typically irradiated as a safe and stable treatment these days and natural blue is very rare and typically not worth the price. In addition, London Blue brings with it a premium and they are always in demand so every trip I seek out good deals on these stones! I also managed to pick up some very nicely cut Amethyst semi precious stones in the Bangkok JTC for the right price. 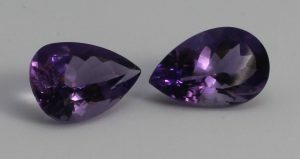 Amethyst is always a tricky one to buy because it’s a cheaper gem and therefore normally doesn’t get the same attention with cutting processes. So you can see some really uneven facets sometimes. However, these were a great pick up and had very nice cuts to them with a light purply, almost rose de menthe, saturation to them. We also have some fantastic London Blue Princess Cut Topaz available for immediate delivery in our online store. Anyway, they are just a tiny sample of the gems which I managed to pickup during the trip and I look forward to testing, cataloging, and listing them for sale on the site in the coming weeks. As always, any questions please feel free to ask! P.S For those that interested in the field of gemology I heartily recommend the GIA’s suite of training and education courses.